Elmira is a sleepy little town in the heart of Mennnonite country, north of Waterloo. I'm looking for a new base to keep my plane at that's a little more affordable as well as (ideally) more close to home. Having recently suffered a dislocated elbow, I decided to take advantage of my mother's automatic transmission Jetta that she'd left at my house while travelling overseas, and check out Elmira's two airfields to see if there might be some available space. 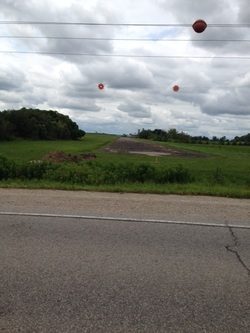 Both airfields appeared to be private strips and unfortunately no one was in attendance at either field when I visited, but I figured it would be OK to poke around at each-after all, who's going to be anything but receptive to a car pulling up on their property with "OMA DAS" licence plates? 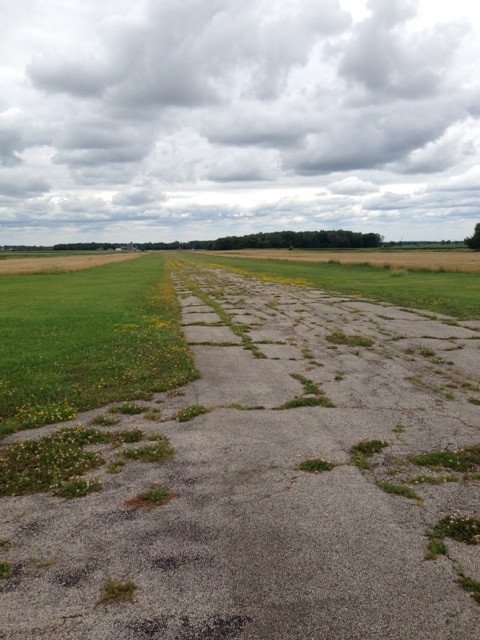 Above: The quasi-paved runway of the Elmira airport on the south-west end of Elmira, just off Listowel road. CNT6 is the home of C-GHQU, the SeaBeast, a converted Republic RC3 Seabee. As a Seabee, C-GHQU first flew in 1947. 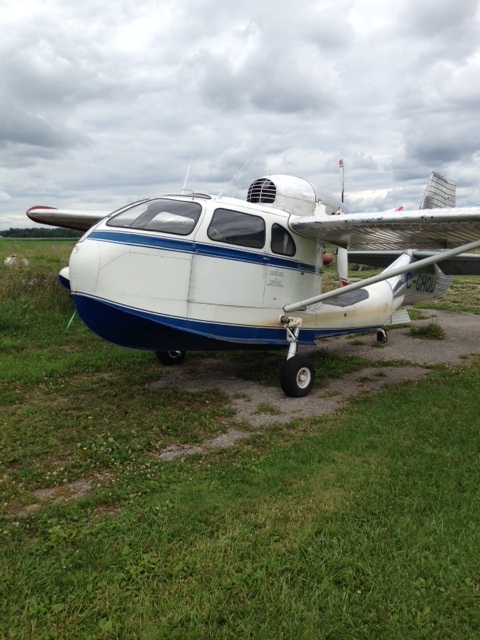 As the SeaBeast, C-GHQU first flew in May 2011.